Ypres is a location with a significant war history behind it. A number of battles took place here during WW1, including the 1st, 2nd, and 3rd Battles of Ypres and the Battle of Hill 60. The location is a favourite among our battlefield visitors. In this blog, we’d like to take you on a journey through some of the landmarks you visit on our tours that still exist to tell a tale of what happened there over 100 years ago. Hill 60 is a man-made hill consisting of rubble which was left over from the construction of a nearby railway site during the 19th century. Without context, it is hard to imagine that the hard stone was once the site of a fiercely unrelenting battle. However, the Hill was much sought after by both sides during WW1. The Hill’s which sits 60 meters above sea level coupled with the flat landscape of Flanders meant whichever side possessed the hill had a strong strategic position and could see far ahead along Messines Ridge. Soldiers from both sides would attempt to blow each other off the ridge by planting mines underneath it. 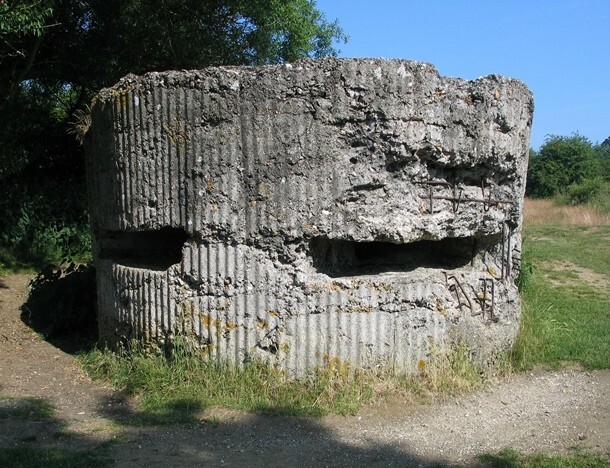 Sanctuary Wood is located just two miles East of Ypres where trenches still exist. 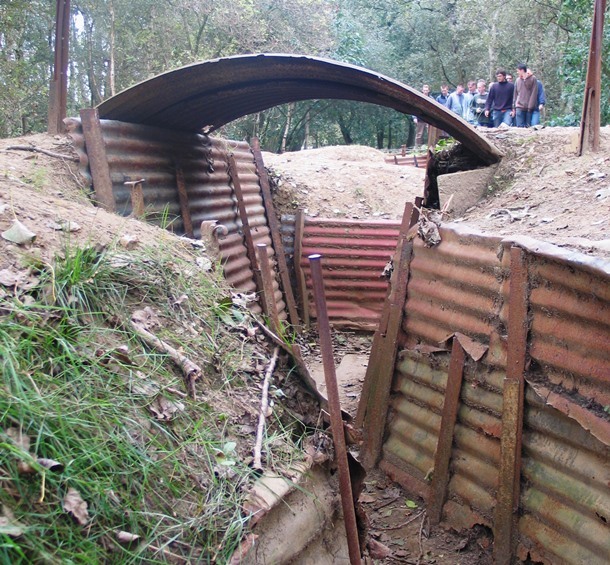 The extensive preserved line of trenches provides an amazing battlefield experience, truly allowing visitors to have a feel of what it was like for soldiers during the war. Sanctuary Wood gained its name in 1914 during the First Battle of Ypres. Whenever troops became separated from the regiments they took to the woods to hide in safety until they could be reunited with their unit. From 1915-1917, however, the woods became the scene of many bloody battles between the Allies and the Germans. Craters can be spotted within the woods where explosions occurred from these battles. The nearby cemetery echoes messages from beyond troops graves, Private Geoffreys Bertram’s, for example, reads “Not dead. Oh no! But bourne beyond the shadows into the full clear light“. The 14km long Vimy Ridge was a vital part of the German defence system which they ferociously defended. Also known as Hill 145, it again was another high-point upon Flanders Field making it of significant strategic strength, similar to Hill 60. While the ridge was in the German possession, enemies stood little chance of evading their artillery. However, this changed in April 1917 when Canadian troops carried out a planned attack on the ridge including the use of extensive underground tunnels, which took German soldiers off guard. Within only 50 minutes of their attack, the Canadians had gained Vimy Ridge as their own. 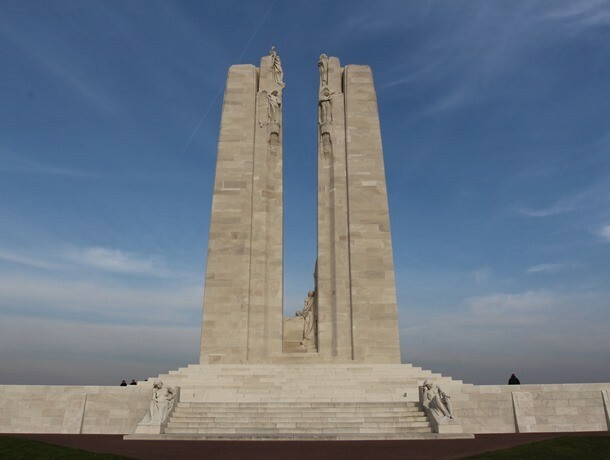 Visitors can enter underground trenches, which exist there to this day and can admire the amazing Vimy Ridge memorial now standing upon Hill 145. 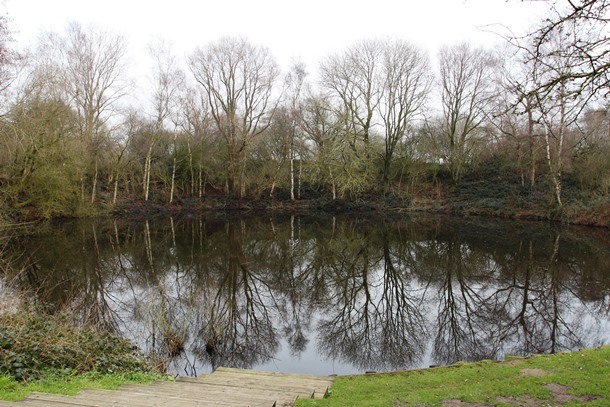 Today, surrounded by lush green scenery and full of water, the Spanbroekmolen crater is more commonly referred to as “The Pool of Peace.” Amazingly, however, it is a result of the detonation of the largest of 19 mines detonated by the Allies during the Third Battle of Ypres. Almost 1,000,000 lb of explosives was used for this elaborate plan to remove the Germans from Messines Ridge. During the battle, The Allies took advantage of mines that fell behind their front line. Using these as their starting point, they dug tunnels underneath Messines Ridge. One tunnel, in particular, was 2160 feet long! The Allies would drag mud from their digging out in sandbags at night to obscure it from the Germans. Overall, Ypres is a sight to behold filled with rich history and many awe-inspiring memorials. If you want to find out more about these locations and our tours, just get in touch or take a look at our WW1 Battlefield Tours.